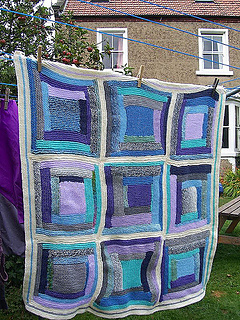 This is more of a technique than an actual basic pattern. 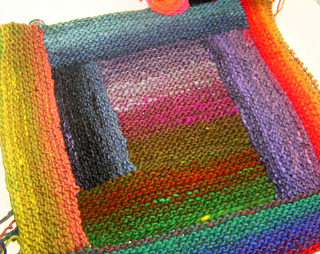 It provides the basics so you can make a blanket with yarn of any weight. 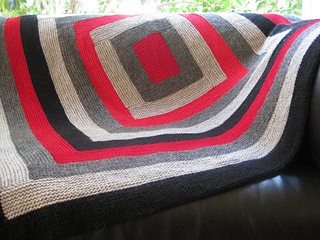 If you are after a specific pattern, try Joseph’s Blankie of Many Colors from the Mason-Dixon Knitting Book.